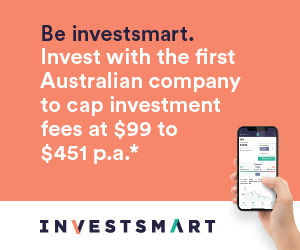 It is with pleasure that I am able to introduce the InvestSMART Australian Equity Income Fund (Managed Fund) (ASX:INIF). It is with pleasure that I am able to introduce the InvestSMART Australian Equity Income Fund. 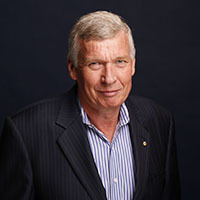 First up, let me remind you that I am biased, as Chairman of InvestSMART and a shareholder in the company. But this is a fund that appeals to me. We are all individuals when it comes to investing. We all have different objectives, timeframes, and especially, different attitudes to risk. If you are looking for absolute security, don’t invest in this fund. For a super safe investment, I’d stick with term deposits. Equally, don’t invest if you plan on only doing so for a year, or even a few years. This may strike you as just about the worst introduction ever for a new fund, but it is our purpose at InvestSMART to give investors choice, transparency and cost-effective options, that are aligned with your personal goals. So, what are your goals? I cannot pretend to speak for you, so I think it is best if I explain why this fund appeals to me. Firstly, the name. I don’t like funds with names that don’t clearly tell me what they are. This is the Australian Equity Income Fund, and so it will invest in Australian equities with a focus on income. This appeals to me. At age 62, I am now starting to use my investments to produce income that I need to help fund my lifestyle. Touch wood, I am in good health, so I hope to be around for a fair while yet. But this means I need my investments to generate an income stream that grows with inflation. The investments in the fund also need to grow in value with inflation. Assets such as equities make sense to me. A few other things are also really important to me. Low fees. Returns are not so easy to find these days. Fees are a certainty, while returns are always less certain, especially in the short term. The whole idea here is that my investments make money, not just for the manager. Fees on this fund are a very competitive 0.97 per cent. Yes, I can find even cheaper than this, but not with an active manager. While low fees are good, a good manager is also important. I have been around long enough to know that. The investment management team has a proven track record of research into Australian equities. Since 2001, the team has produced a model portfolio for subscribers, and the performance has been solid. This fund is based on that model portfolio. Simplicity. What I really love about this type of fund is that I can invest very quickly and cheaply because it is listed on the ASX. Low exposure to banks. The final point really interests me. I am not a bank hater; they need to do better, but most of us hold bank shares in our super and in our own names. It’s no surprise then that banks are around 22 per cent of the ASX 200. So, while I want us to have strong banks, I don’t need too many more in this fund. Frankly, I can buy them myself and not pay InvestSMART 0.97 per cent to do it for me. The much lower exposure to banks in this fund works for me. If I am going to pay anyone fees, I want them to add value in stock selection. There are certainly risks here. If the market goes backwards, so will the value of holdings in this fund. The best way to mitigate this risk is taking a long-term approach. We can all easily see what the share market does over the longer term. While I do hold some safe cash and term deposits in my portfolio, the 2.5 per cent or so I earn is not going to do anything for me over the years. It is not ideal, but in the world in which we live, we must take more risk to get more return. If you are looking for an income stream, a diverse portfolio of shares with a lower exposure to banks, a professional investment team, ease and low fees, then this fund may be for you. Naturally, read the product disclosure document (PDS) and seek good professional advice if you need it.